ERIE, Pa. (WPVI) -- Fire officials say a Pennsylvania man was lucky to survive being pinned by a huge chunk of ice that he knocked off the side of his house. The Erie Times-News reports that Erie firefighters rescued the man Monday, chipping away at the 6-by-10-foot ice block and lifting it off the man's legs. He suffered only minor injuries to his right leg. Officials say the man was trying to dislodge ice from the side of his house by hitting it with a shovel when the massive chunk suddenly fell. The man fell backward onto a wood pile, which bore the brunt of the ice's impact. Fire Chief Guy Santone says the man was "extremely lucky." 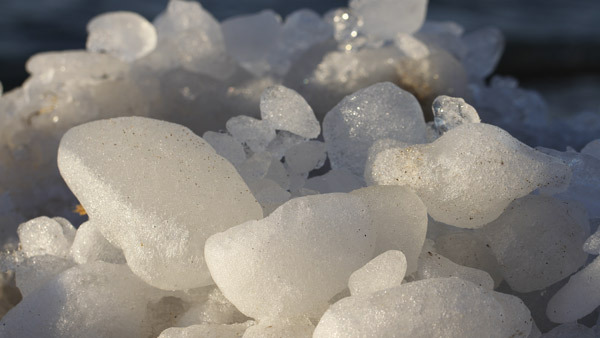 Santone recommends having professionals remove ice from your house.